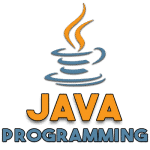 java.lang.Math.cos() method is used to find the trigonometric cosine of an angle of a double value in Java, (an angle must be in radians), for the given input (x – parameter). Note: The computed result must be within 1 ulp of the exact result. Results must be semi-monotonic. cos() method exists in Math class of java.lang package. *Find the trigonometric cosine of an angle of given input(double) by importing the java.lang Package. If the x parameter is not a number cos() method returns an error. cos() method returns the trigonometric cosine of an angle of a double value for the given input (x – parameter).